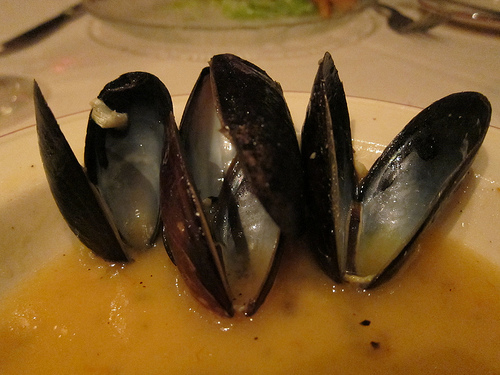 This is Argentina’s national dish, which is a hot, white chowder. 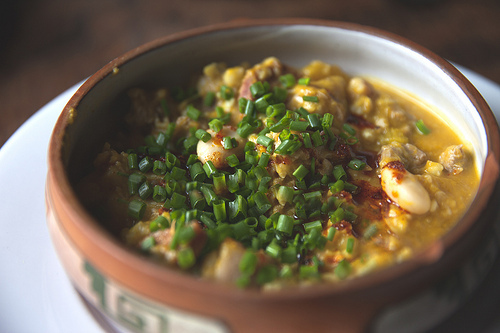 The corn based stew originates from the Andes and is traditionally served on 25th May – the date of Argentina’s May revolution. This tasty snack or street food, made from peeled, fried black beans and onions is perfect for a party. 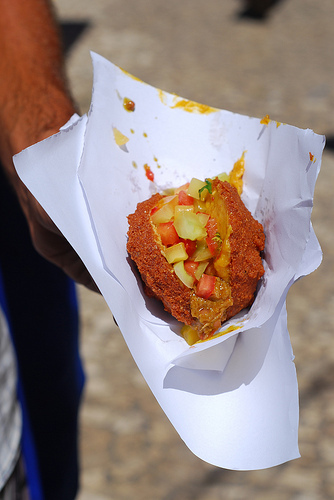 The end product resembles a croquet or fritter and is usually filled with prawns or vapatá, which is a paste made from prawns, coconut milk and ground peanuts. 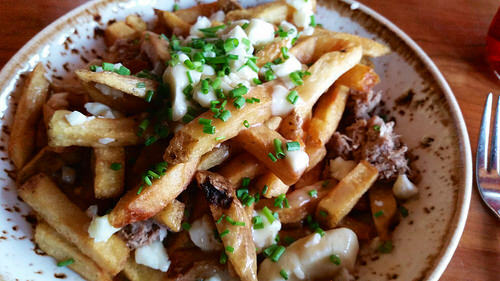 Originating from Quebec, poutine is a must-try comfort food. It’s chips covered in gravy with cheese curds on top! Doesn’t sound like a delicacy but burger joints all over the world are now including poutine on their menus as a side. 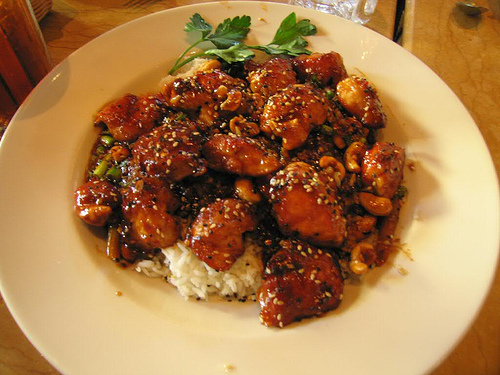 This Szechuan dish is a spicy stir fry made with chicken, vegetables, peanuts and chillies. It was designated as the official dish of the Beijing Olympics. 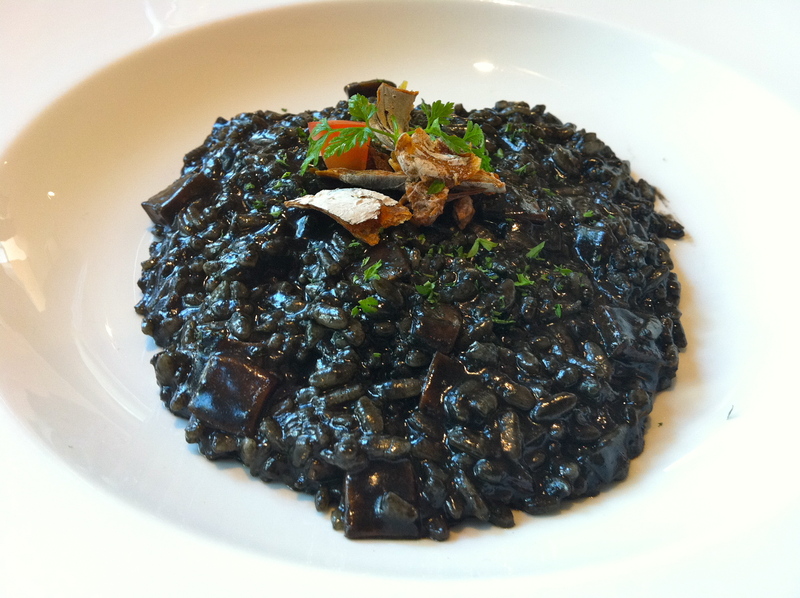 Tried and tested in Dubrovnik, this traditional dish is a black cuttlefish risotto. It’s intense in both its black colour and its flavour, but is delicious with a glass of white wine. 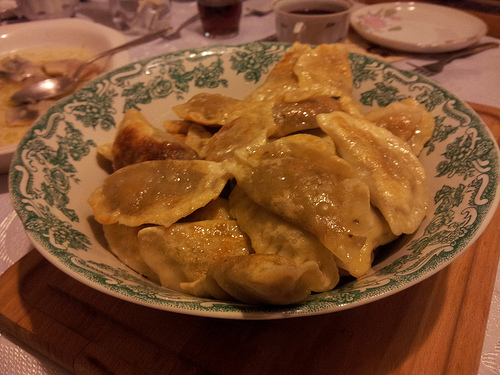 This is a staple sweet dish in Czech cuisine. 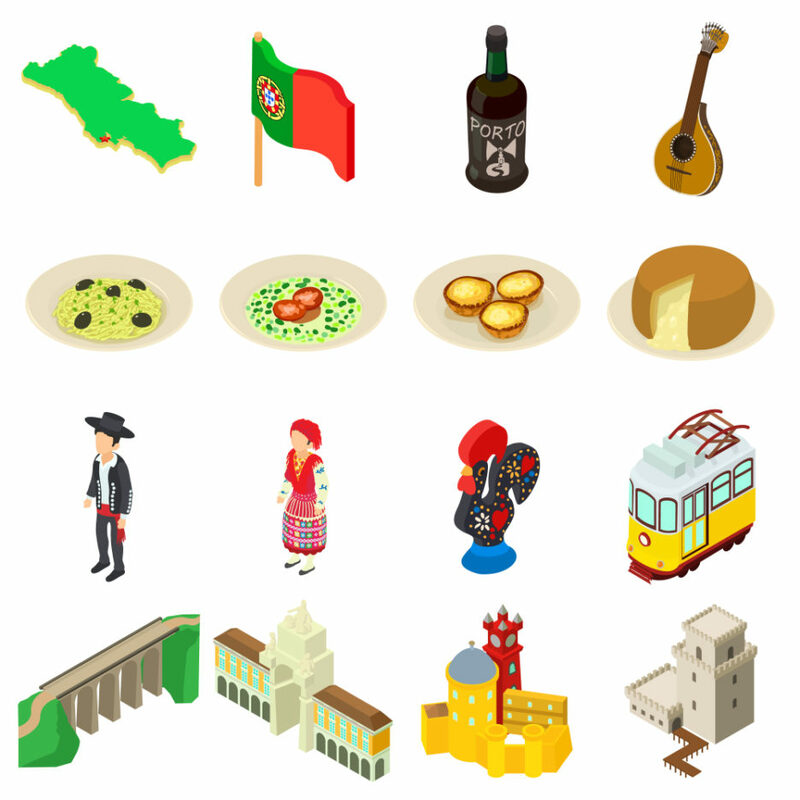 Ovocné knedlíky are dumplings filled with fresh summer fruits such as strawberries and apricots. 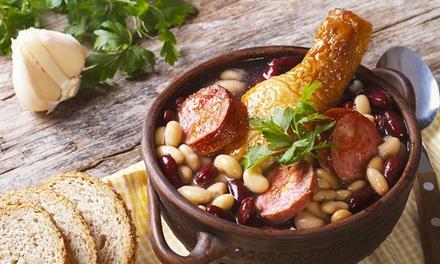 A French cassoulet uses traditional sausages from Toulouse, confit of duck and haricot beans and is cooked in a large clay pot known as a cassole. 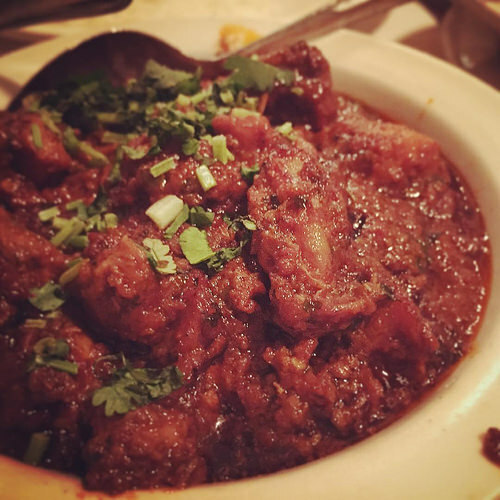 Chicken Muamba is an Angolan chicken stew, which gets its deep orange colour from red palm oil. It’s a mix of chicken, tomatoes and okra and hot scotch bonnets for that extra kick. 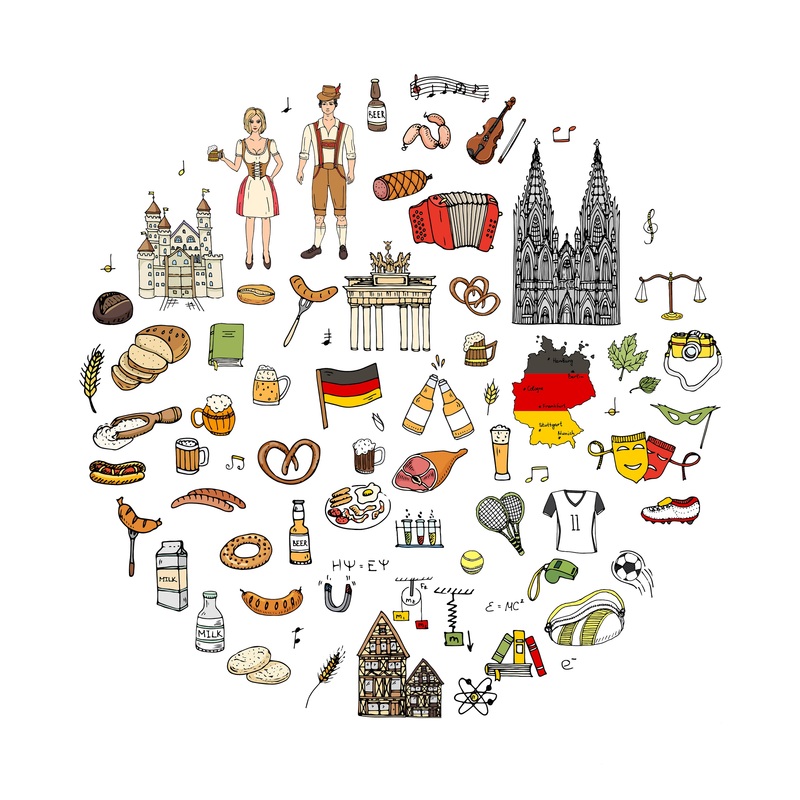 Jane’s favourite dessert from her year in Germany! 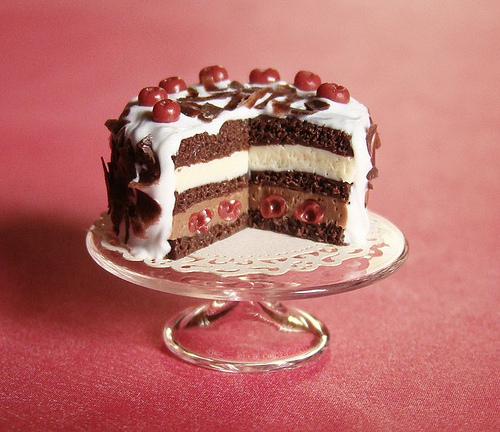 Schwarzwalder Kirschtorte (Black Forest gateau) is a luxurious cake made with lashings of chocolate, cream, cherries and kirsch. 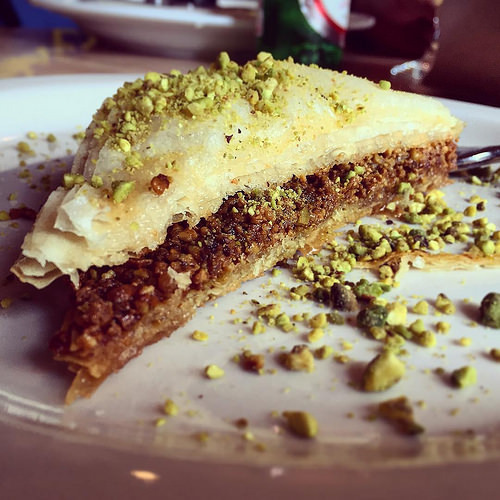 Baklava is a traditional dessert made up of thin strips of filo pastry sprinkled with crushed walnuts, pistachios and almonds and drizzled with honey. Interestingly the word baklava is Turkish and there are often disputes between Greece and Turkey as to which country is the original creator. We’re so used to seeing curries on the menu in Britain now that we’ve picked a traditional Kerala curry as our favourite. This one has mussels as the star ingredient and is spiced with turmeric, ginger, coconut oil and chilli. 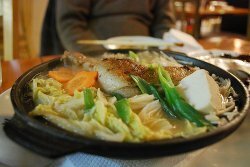 Chakonabe is a highly nutritious meat and vegetable stew. It’s food traditionally eaten by sumo wrestlers – don’t worry about calories though as sumos eat enough for several people! 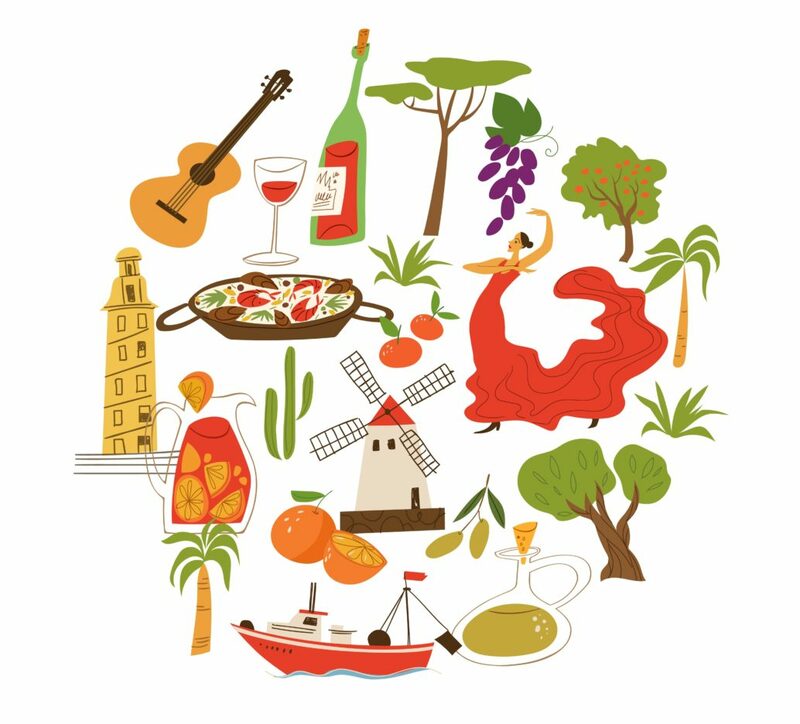 Jerez’s tocino de cielo made up of egg yolks, sugar and water much like a rich crème caramel has an interesting history. 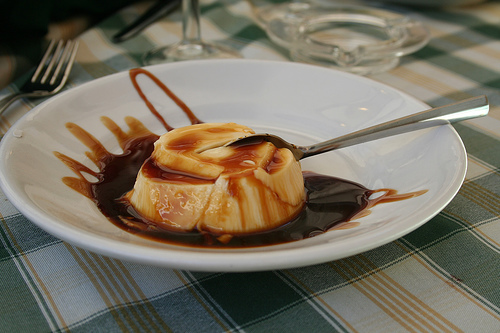 Wineries from Jerez used egg whites to clarify their wines and then donated all their leftover egg yolks to local nuns who came up with this simple, yet moreish dessert. 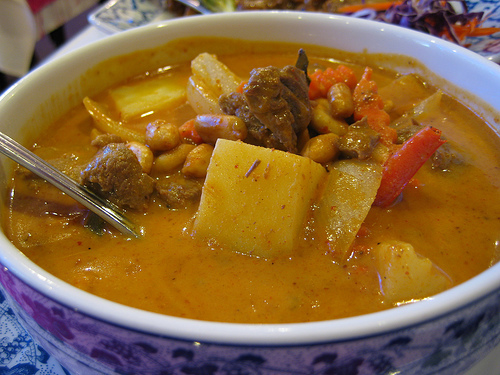 The korma of Thai curries, this popular coconut-based dish is usually made with beef or chicken, potatoes and peanuts. Best served with sticky rice! 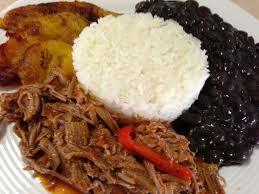 Pabellon criollo is a hearty plate of beans, rice plantain and spicy shredded beef, which is often made up to represent the national flag.